"Unko-san," a new anime series about a brown turd-shaped fairy with lots of luck, is fast becoming the rage among high school girls in western Japan. 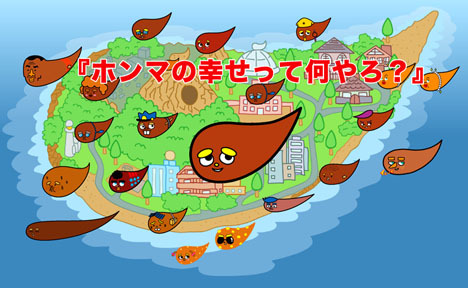 Short episodes of the anime are now showing in the Osaka area on Kansai TV's "Otoemon" music program. The stories revolve around Unko-san -- whose name is a play on the Japanese words for "luck" (un) and "crap" (unko) -- and his quest for happiness on Lucky Island, which is populated by a host of other poo fairies. These are crap next to Mr. Hankey. This was a great video. I mean it was filled with so much comedy and trajedy. If Shakespeare was going to write a play with poop as the main actors than this is certainly what he would have come up with! this is a crappy video. get it? crappy? o god, i crack myself up.